We got a new cable box which requires a PhD in direction reading in order to figure out how to turn the TV on, let alone having a hope in the world to change the channels. The good news? We can now record tons of shows and watch them from any TV in our house. The real news? Like we will EVER figure out how to do that??? I caved to all the peer pressure (also known as BEGGING) and made meatballs the old school way. The FRYING IN OLIVE OIL way. I hate that they really do taste better this way...but it's still a once in a blue moon way of making them. Sometimes, in the middle of summer, you just gotta have gravy. The freezer was so sad that there wasn't any in there and you know how I hate a sad freezer. The first fig has arrived. One more time...the first fig has arrived. All is well in my world now. 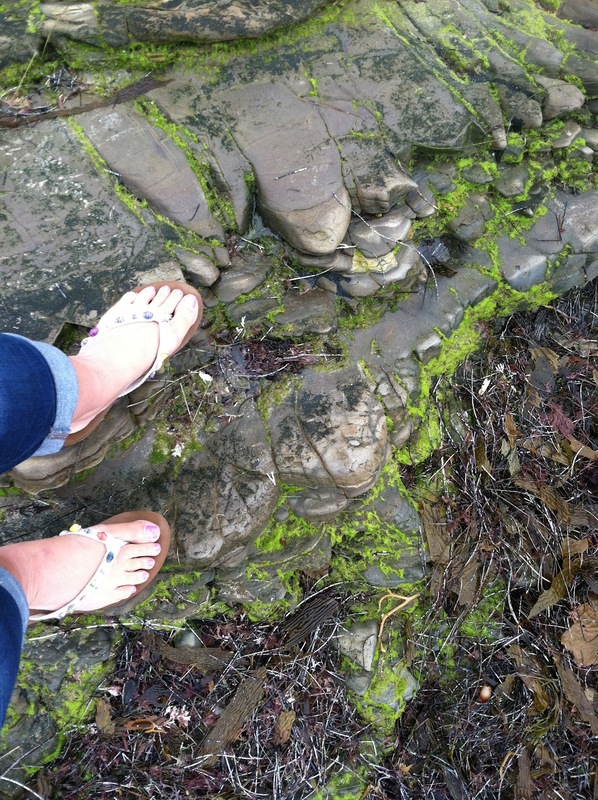 A visit to the tide pools. So many little creatures that kinda freak me out. So do parties in my garden. The olympics opening ceremony meant a special dessert...chocolate fondue. Alex and his friends, after staying up the whole night before, helped friends move. In this case, free labor meant napping on the job. My dryer, exactly 61 days after I spent $450 to fix it, broke AGAIN. The repair warranty? 60 days. I. am. being. tested. and. have. reached. my. breaking. point. Thankful for sunshine and warmth and a drying rack....but still, I'd like a working dryer. 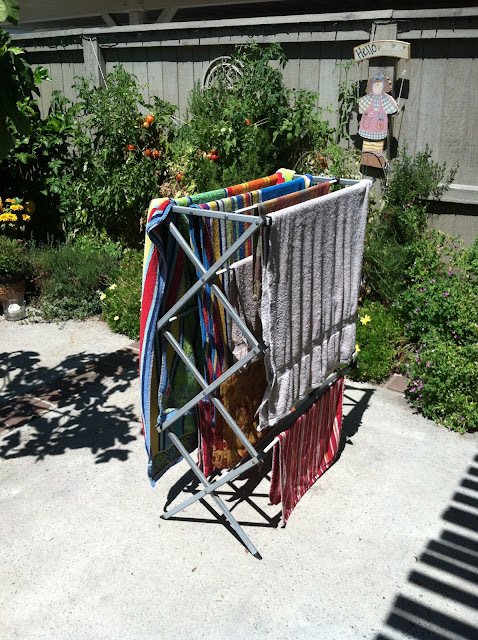 Crunchy towels are, well, crunchy. I really hate crunchy clothes and towels. ick!